David Williamson (pictured right with Brad O'Brien) joins dealer group with a background in multiple industries. Office Choice have officially launched the Bibbulmun range of Indigenous-branded workplace supplies. 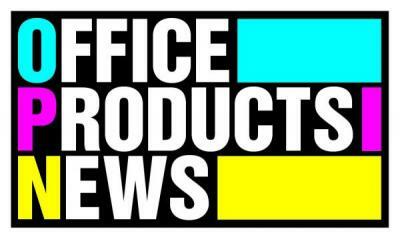 Hunter Office Suppliers has been named Office Choice’s national dealer of the year. Dealer group Office Choice Ltd has appointed national operations manager Jamie Keyzer (pictured) to the new role of chief operating officer. Albany Office National has joined the Office Choice group and is now trading as Albany Stationers Office Choice. Office Choice has recorded a “double-digit” increase in overall sales volume and rebate generation in the latest financial year. Office Choice Bairnsdale has expanded its presence in Victoria’s Gippsland region with the acquisition of Ultimate Office National. Office Choice will celebrate its 25th anniversary this year with a new ‘Hall of Fame’ award. Office Choice will hold its annual conference and trade show at the Crowne Plaza resort in the Hunter Valley, NSW, on 12-14 October. Long-time unbannered Office Choice member Humphreys Stationery and Office Supplies has taken on the group’s distinctive branding option. Daniel Kelly, managing director of Newcastle-based Stuart & Dunn Office Choice, has been appointed chairman of Office Choice Limited.